We can only get out of our bodies what we put in. Contact Lauren to discuss meal prep & catering services. 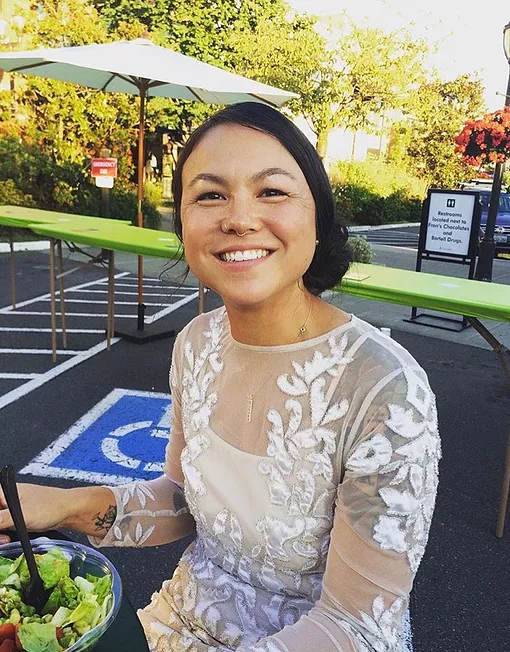 A native of Seattle, Lauren Arai-Broderick (Co-Owner of PEACEFUL TRAINING) has cultivated a tremendous passion for food from a very early age. Beginning with helping her mother and father cook as a child, to graduating from South Seattle Community College Culinary Arts Program(02’), her passion has not stopped! Coming from an ethnically diverse background, Lauren’s exposure to culture and diversity has had a major influence in her knowledge base of a wide array of ingredients and techniques. Upon receiving her bachelors in Culinary Arts, Lauren worked as a Chef for PCC Natural Food Markets for 14 years (where she still works part-time). It was at this point that her knowledge and belief about healthy eating and the positive impact it has on the mind, body, and soul were solidified. Now as a wife and mother of four, her understanding and experience continue to give her an amazing insight and influence on the eating habits of those she cares about. Her mission, through her meal prepping and catering, is to offer healthy meals that are both delicious and nutritional for each individual and group she cooks for!